It may have had to come against a bad team, but whatever the case may be, the Giants gained a win on Sunday, breaking their 7-game losing streak with a dominant 36-7 win over the Titans Sunday in Nahsville. Eli Manning threw for 260 yards and a touchdown, and Odell Beckham Jr. set a team rookie record with his fourth game with 100 yards receiving this season: 11 catches for 130 yards and a TD. 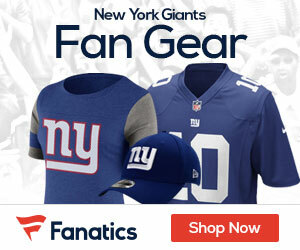 “I don’t want to use that word relief,” Giants coach Tom Coughlin said. The Giants (4-9) won for the first time since October 5th. 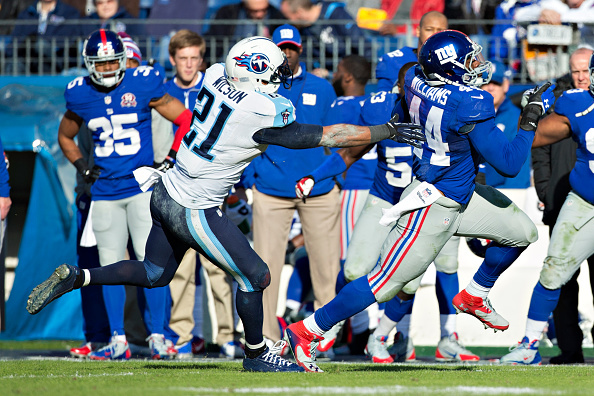 Andre Williams helped the cause for big blue, rushing for a season-high 131 yards, including a 50-yard TD. The Giants came in with an NFL-high 19 players on injured reserve but relatively healthy on offense, even with running back Rashad Jennings not starting because of a sore ankle that kept him out of practice. With Manning and Beckham connecting early and often, they helped the Giants dominate with a 402-207 edge in total offense. Giants cornerback Dominique Rodgers-Cromartie, who played on this field in college at Tennessee State, had a 36-yard TD off an interception wiped out by a personal foul on Damontre Moore for a hit on Mettenberger. Josh Brown kicked his fifth field goal for a 36-7 lead. It was an easy win for the Giants against a woeful Titans team.